Spring vocabulary flash cards for kindergarten and preschool kids to learn new words. Encourage your child to describe word he already knows. 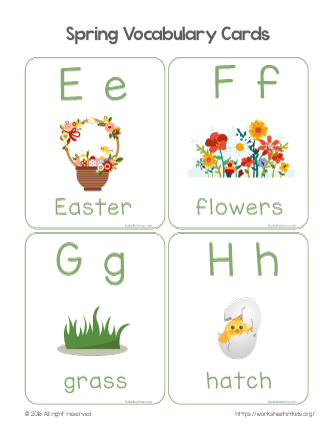 Set 2 includes four flashcards with words Easter, flowers, grass, and hatch.